For years now I make an annual vow. As each summer draws to a close I vow that I will be wide-eyed and aware so I can capture the first glimpse of fall. It seems to me that each fall I suddenly notice not one tree frosted with the season’s palette but the entire street seems to have dressed itself in Autumn overnight. I know this is not true. Like aging, the season comes slowly. At the end of July this year I was walking my dog when I discovered a perfect fall leaf on the ground. It stopped me in my tracks. July? So soon? I picked it up and admired its redness…almost magenta in spots. It was breathtaking. Reverent, in fact. I looked up and turned a 360 there in the street to find the turning tree from whence it came. Nothing. Green, green, green everywhere. No color, no turning. Nothing. Almost 10 weeks have passed since that moment. Kansas City is beginning to color. Vines of the most mesmerizing color of red color first and usher in my favorite season with fanfare. 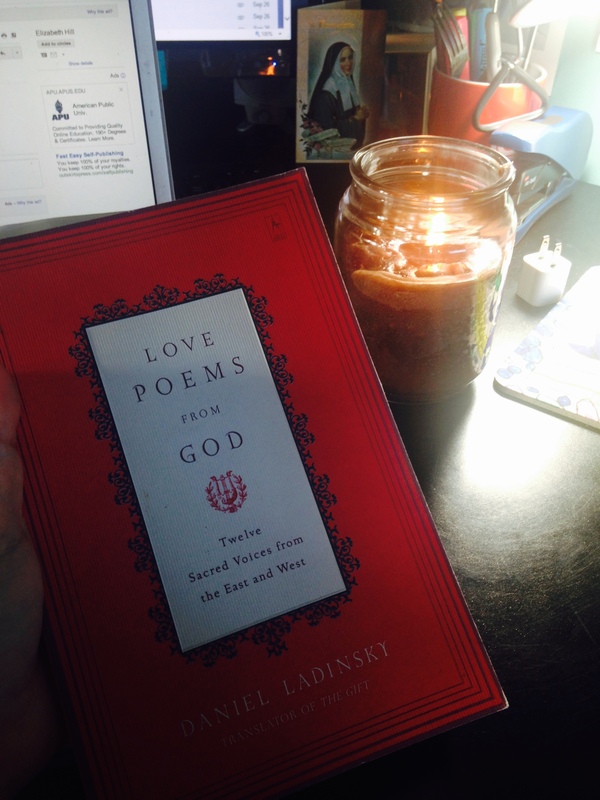 The St. Thomas Aquinas quote comes from his poem “The Divine Intimacy” which you can find in this lovely book. While Summer is my favorite season, I also love fall! Ok, I love all of the seasons with the exception of winter. In my mind, January 2nd should be the end of winter! My favorite trees in the fall are the sugar maples. I just love the oranges and yellows in their leaves. Beautiful!!! Ah, Fall. My favorite season as well. God truly does litter the world with color. How does He do it year after year and never repeat a single leaf? Fall is also my favorite time of year. But I must tell you my dear, age does happen very quickly, and moves faster and faster. One day you will look in the mirror, and wonder who the old tired women’s face belongs to! But with your glorious red hair, I’m sure that will never happen to you! Once again…beautiful thinking that leads to beautiful writing. 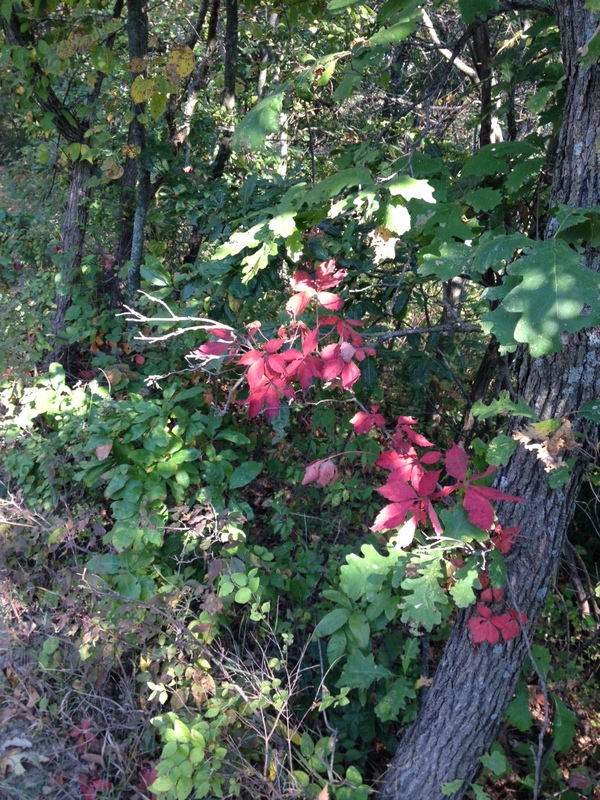 I’m loving fall as well…especially this fall as I’ve tried to be open to what God is saying through his creation. Thanks for reminding us to pay attention!